Xiaomi an affordable and trust worthy smartphone brand in India. No doubt they are really good in every aspects than the competitors brands specially in smartphone price. And now its going to launch a new smartphone in India i.e. Redmi S2(Y2). So, Welcome all in "Postdynamic - The Master's World". Our today's topic is in "Mobiles" and "Reviews" section category on Redmi S2(Y2) the Real You smartphone. First of let me tell you that its an AI powered camera phone and it sounds good let see what and how it can do to enhance pictures quality. Let's start step by step and Review this Redmi S2(Y2). In terms of specifications, Redmi S2(Y2) has two variants 3GB/4GB RAM and 32GB/64GB internal storage(ROM). It also has 5.99" inches of display and HD+(1440x720 18:9) resolution. If we talk about the battery then it has 3080mAh battery. 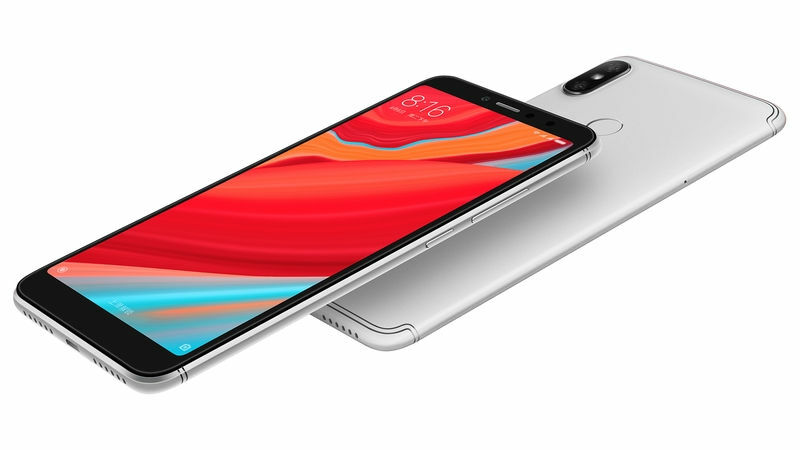 Redmi S2(Y2) has 16MP front facing camera with AI and 12MP/5MP dual rear back camera. This phone is a 4G VoLTE phone with WiFi 802.11 b/g/n, Bluetooth 4.2 connectivity. It also has Dual SIM and a dedicated SD card slots by which you can easily expand it's memory upto 256GB. Redmi S2(Y2) is not yet launched yet in India and according to its price in China approximate price in India can be ~Rs. 10,600-13,700. It may launch in India as expected on 7th June, 2018. So this is all about the Redmi S2(Y2) price with specifications and Launch date in India. I hope you like this article and got some useful info from this. Don't forget to share with your friends and on social networks. So keep visiting “Postdynamic – The Master’s World“. If you have any quires or questions, do comment below and give your feedback also. Thanks for visiting “Postdynamic – The Master’s World“. Nokia, once a trusted and best phone to rely on. But somehow due to some reasons and change in smartphone technology it gets fade very far behind. Nokia tries to come and hit back with new ideas earlier in 2016 with windows phone i.e. flop phones oops!!!. Then it came with android phones in 2017 but lacks in hardware like processors to compete in market. But now Nokia has come up with new mid-ranger smartphone and we are going to review and discuss it in detail here in this article. 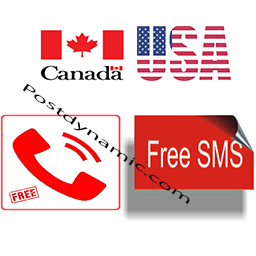 Welcome to "Postdynamic - The Master's world". Our today's topic is in "Lifestyle and Smartphones". 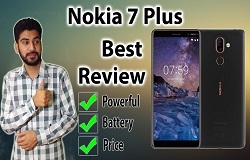 And in this you are going to read Nokia 7 plus review. #LetsGoInDetail We all know about Nokia which is known for its build quality and durability in manufacturing. And Nokia is a well known Tech Gaint. By not wasting much time directly come to the point. Nokia has come up with new mid-ranger smartphone in India and Its sale is going live on Amazon.in by 30th April, 2018. And you can't ignore this Nokia 7 Plus smartphone because of its updated specifications and features. Latest Android OS that is Android Oreo or say Androidone. Nokia 7 Plus is a fully featured phone and very powerful too. Because it has powerful Snapdragon 660 processor and 4GB RAM. Nokia 7 Plus is also very good looking and stylish phone. Here are some pics of it. It's build quality is very good because as it comes with metallic body that's just enough for any phone to lasts long. Nokia 7 Plus has 2 day battery life as company claims and it can actually run 2 day one single charge as it has 3800 mAH battery. 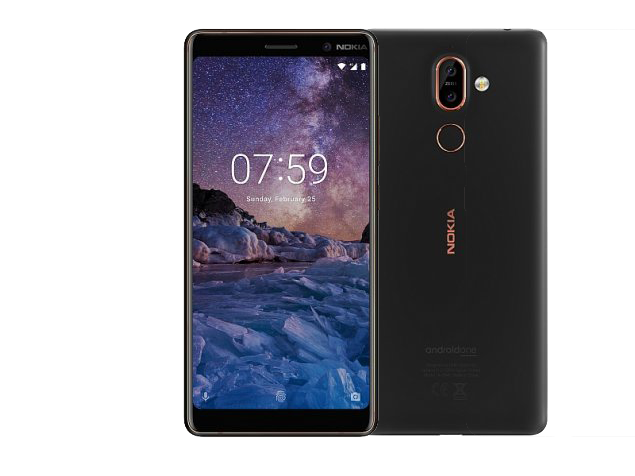 Nokia 7 Plus comes with Snapdragon 660 octa-core processor which clocks at (4x1.8GHz & 4x2.2GHz) and 4GB of RAM with 64GB on-board storage. A totally power packed mid-ranger smartphone. There are no lagging issue in Nokia 7 Plus when playing games and multitasking. Nokia 7 Plus is slightly over priced at Rs.25,999/- in India. It could be Rs.22,000/- sufficient to purchase but as it's a brand and quality product we can compromise with price. Best mid-ranger smartphone from Nokia. Very Powerful, no lags, latest android. 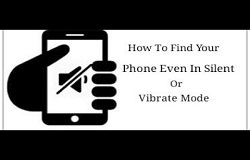 If you are willing to but a new smartphone then you can go for it without worrying about anything. 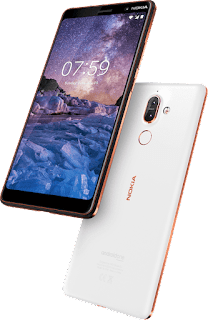 Price is little over priced but okay at cost of Rs.25,999/- from brand like Nokia at this high quality specs and hardware. Hello there, as we all know Amazon Great Indian Sale is soon going to be live by 11th to 14th May, 2017. 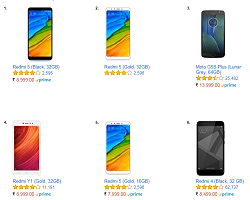 So, we are providing you Top 5 Amazon Bestsellers Smartphones on Amazon.in. Welcome to "Postdynamic - The Master's World", you are reading article "Amazon Bestsellers Smartphones Top 5 you can buy this Great Indian Sale(11-14th May, 2017)". Redmi 4A is budget smartphone which has some powerful specifications according to its price and competitive smartphones. 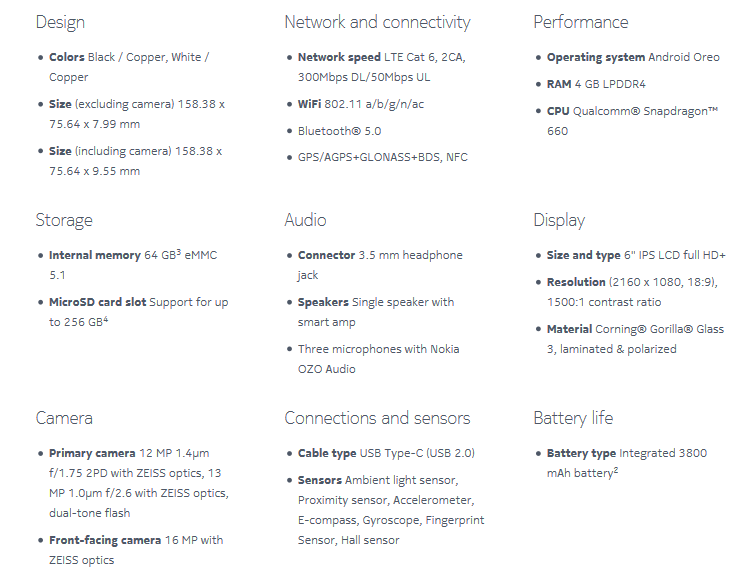 It has 13 MP primary and 5 MP front camera. It has 3120mAH lithium-ion battery. RAM of Redmi 4A is 2GB with 16GB internal memory and it supports 128 GB memory card. 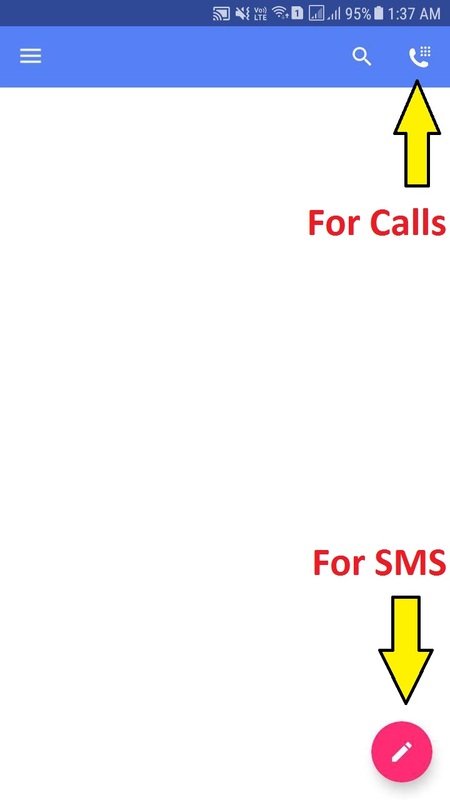 Dual Sim(1st Slot 4G and 2nd 2G only). Moto G Play is also another budget smartphone which holds 3rd place under Amazon bestsellers Smartphones. It consist of 8 MP primary camera and 5 MP front camera. Its 2800mAH battey comes with 10W rapid charger for quick charging. It has 2GB of RAM and 16GB internal memory. And it also supports 128GB memory card. It has dual SIM support(4G+4G). For more details, these are direct links:- Moto G Play, 4th Gen (Black) or (White). All are best in their field but Redmi 4A is best among all of them at very low price of 5,999 INR. Not only price but the specifications are also very good and key point of it. So, if you are one of those who are going to purchase smartphone from amazon.in this Great Indian Sale. 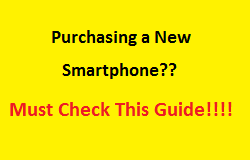 Then, I hope this article will help you to buy best smartphone for you. Thanks for visiting "Postdynamic - The Master's World". Do not forget to share this article with your friends and on social websites and apps. 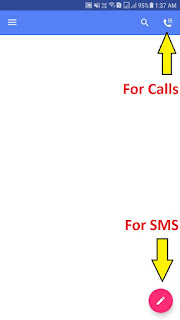 In this article I am going to tell you that How to "Become WhatsApp beta User officially". First of all let me tell you becoming a WhatsApp beta user means that you are becoming a WhatsApp developer. And you will access all new features in your WhatsApp before they go public. 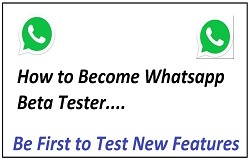 Becoming a WhatsApp beta user also means that you are becoming a WhatsApp tester. And it allows you to send your feedback about new features directly to the developer. Welcome to "Postdynamic - The Master's World". Lets start the topic and have a full step by step tutorial of becoming a WhatsApp beta User. First of all you need internet connectivity so that you can access Google Play Store. From where you will become WhatApp beta User. So connect your internet it may be with WiFi or with your mobile data plan. After that open Google Play Store with Gmail id logged in. Now simply type WhatsApp in the search bar. It will show WhatsApp icon open that and it will show the option of Install if you have not installed it. Now before installing WhatsApp you have to do a little bit of work to become WhatApp beta user. And if you have already installed WhatsApp don't worry you do not have to uninstall this. So firstly scroll down to the bottom of screen. There you will see a box in which "Become a beta tester" is written along with description. Like "Try new features before they're made public. Give your feedback directly to the developer". And you will see two options there "Find out more" & "I'M IN". Tap on "Find out more" only if you wanna go on WhatsApp's official website & read some terms and conditions. If not interested in Terms & Conditions Tap on "I'M In". After taping on "I'M In" a pop up message will appear. Which will ask you about that you really wanna Join beta programme or not. Because some features in beta versions may be unstable. 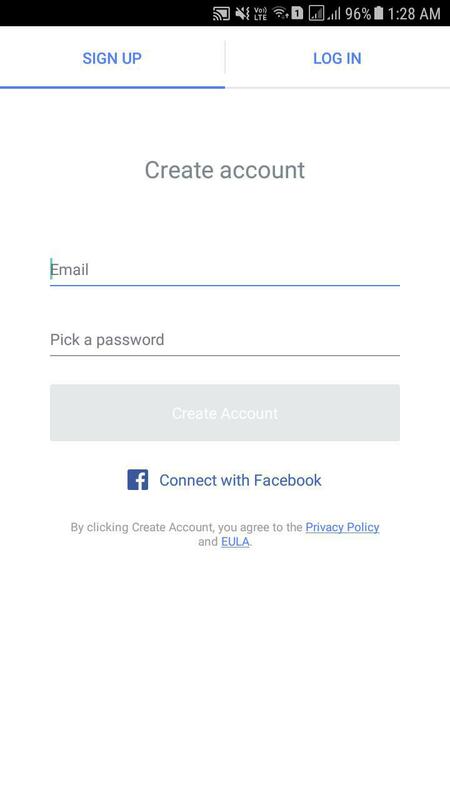 Don't Care about that just tap on "Join". After that Beta Sign Up Progress will start. And in a few minutes you will become WhatsApp beta user. After becoming beta user you will see option to update your WhatsApp. Tap on that and update it to access new features. In Case you do not have installed WhatsApp before. Then you will see the option of Install(instead of update). Tap on that and install WhatsApp beta version to access new and testing features of WhatsApp. 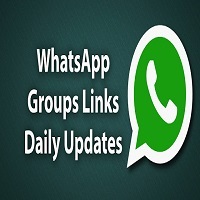 After joining WhatsApp beta programme you may receive 2-3 or more updates within a week. Because WhatsApp keeps trying new features in short intervals. And if you wanna leave WhatsApp beta programme then you will have to tap on leave button and uninstall. And after that you can install a normal WhatsApp version. So that is all with this article i.e. "Become WhatsApp beta User Officially (Step by Step Guide)". Thanks for visiting "Postdynamic - The Master's World". Keep visiting & keep learning. Hi there, in this article I'm going to explain how to "Backup Authenticator Apps accounts securely(Google or Any Authenticator App)". And this is very interesting and easy step by step tutorial for you. 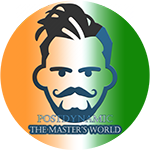 Welcome to "Postdynamic - The Master's World". 1. Best and Secure Authenticator App. 2. Backup of accounts from Authenticator App. 3. Bonus tip benefit secret key. You may find lots of apps that are claiming to be best or rated best by peoples. But I totally disagree with those peoples and apps. Because whenever using third-party app we must check whether it is trust worthy or not. Means it's all about our security and privacy. And never go with the apps which stores your accounts and data on there cloud servers. We do not need to discuss those apps which are not best and secure. Let's discuss the best and secure one. Google Authenticator is best and secure Authenticator App. It is Secure because it is by the "Google Inc." that means Google is developer of this app and you can trust Google. And Reason is quite clear the whole Android operating system of your phone is developed and managed by Google. If you feel secure with Android operating system you should feel secure with Google's apps. And it is Best because it has clean UI(User Interface) and easy account setup process. Most important is Google Authenticator do not save your Authenticator accounts and data on its servers. And if in future it starts saving on its servers then also you can feel secure than the other third-party apps. Well there is no backup option for accounts present in Google Authenticator app. But we need this backup in case of Factory Reset of our smartphone or new software/firmware installation. Don't worry here is solution for this problem. 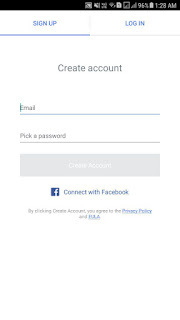 While setting-up Authenticator account check this link first how to do Authenticator setup(this setup method is compulsory for backup Authenticator apps accounts securely), and remember bonus tip given below. Bonus tip is, copy your Authenticator secret key code. -Keep it same as original, don't change any alphabet letter/number to small/capital yourself. And save that secret key code to secure place either in the form of a document or a text file. 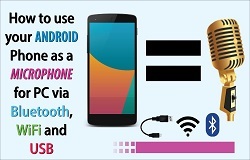 Now whenever you reset or reinstall software of your smartphone. You have to install the Google Authenticator app. And add your account by secret key code you saved in step "2." under "bonus tip benefit of secret key". The benefit is that, as you have secret key. So you can setup Authenticator of same account in Multiple devices and the codes on every devices will remain same. 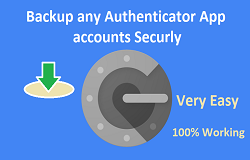 So this is end of article "Backup Authenticator Apps accounts securely(Google or Any Authenticator App)" and this is best, free and easiest way to backup without any extra backup app. If you have many accounts already added in your Authenticator app then use Titanium Backup app. But I must say the method I told you is the best method(you can re-add all accounts with my method easily). Finally choice is your. I hope this is very helpful article for you and you have learnt something new today. Don't forget to share this article with your friends and on social website. Thanks for visiting "Postdynamic - The Master's World". Keep visiting and keep learning.